Players who already own the digital version will receive a free update of the Dynasty Mode content the same day. 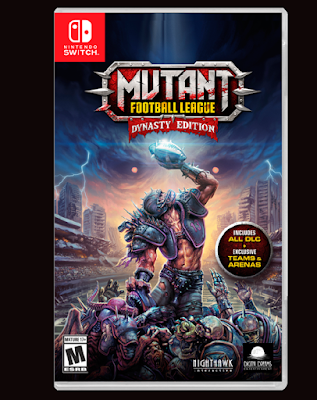 Priced at $29.99, Dynasty Edition includes Dynasty Mode, a single player experience where you become the coach and GM of your favourite Mutant Football League team and take a group of unproven rookies and turn them into monstrous all-stars by winning multiple Mayhem Bowls over several seasons to become the league’s next Dynasty. It includes multiple season gameplay, player trades, cumulative player experience (XP), salary management, custom playbooks and free agent signings.